Check out the used Honda Ridgeline in Enterprise, Alabama. Our team is happy to help you observe our pre-owned trucks for sale. Talk to our team about our Ridgeline and its many features. Some of the pre-owned Ridgeline models feature Honda Sensing technology, so contact our team. Buying a Ridgeline is the right choice for multiple reasons. For instance, the preventative maintenance for a Ridgeline will be affordable. Firstly, Ridgeline parts are competitively priced. Secondly, our service team knows how to handle things! 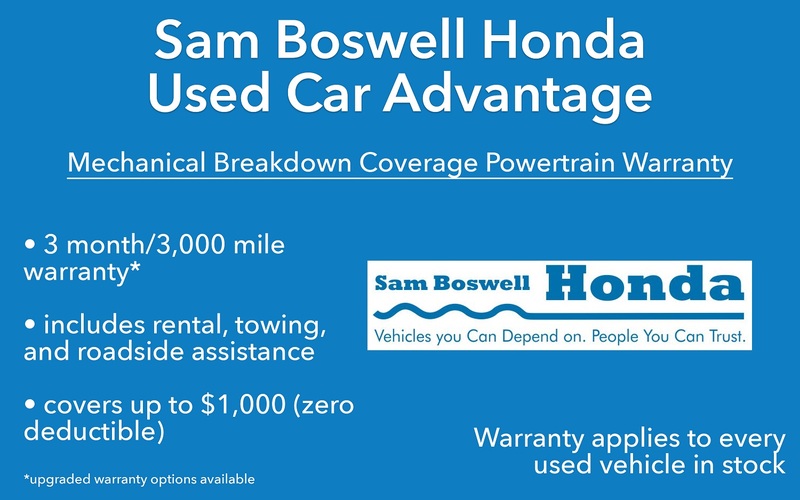 Drivers near Ozark who need financing can find it at Sam Boswell Honda. Apply for financing online and we will look over our credit report. We will look at your credit history report and debt-to-income ratio. We even have bad credit financing options available for drivers near Ozark, Alabama. If you have a score that is low due to a divorce, foreclosures, or repossessions, a sub-prime auto loan might be the answer. Check out our bad credit car loans and get the keys to a reliable, pre-owned Honda Ridgeline today.